Local Asbestos Services provide complete asbestos abatement works to all types of domestic and commercial properties. Our head office is based in St Helens, Merseyside. 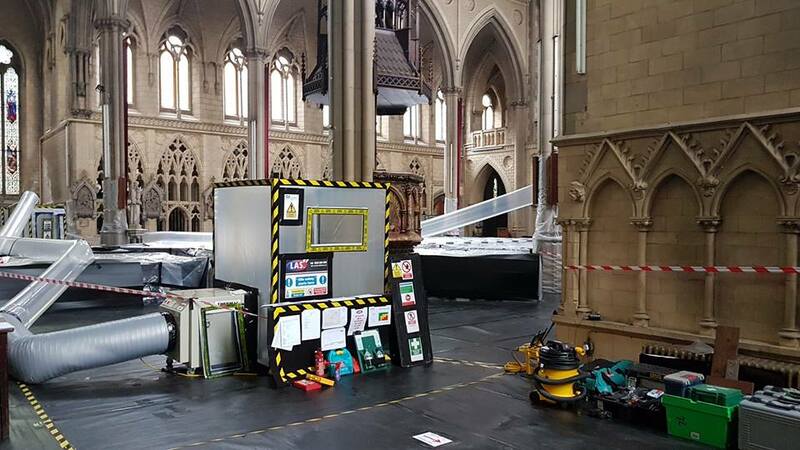 Our practical expertise, public and private sector experience, and outstanding risk management means that we can plan, organise and run entire asbestos abatement projects. Our extensive organisation & management means that our clients can relax and focus on running the core of their business. Our integrated Health, Safety and Asbestos management approach means that our main focus is on our clients and lease holders – that means lower costs, joined-up thinking and excellent levels of service, every time. The company was founded in March 2010 by managing director Ian Lea. Ian has 20 years experience in the asbestos industry and has worked both as a asbestos surveyor and contracts manager before deciding to set up Local Asbestos Services. The company was set up to provide professional, high quality asbestos removal & management services with local customer service and prices. LAS started small with just a few employees and has grown into a well known, HSE removal contractor with a full three year license. Some of clients include Greater Manchester Police, Salix Homes, Places for People, Lancaster Maloney and many more. LAS are a fully licensed HSE asbestos removal contractor. Our dedication to hard work and professionalism were rewarded with another 3 year license granted by the HSE. The most recent of which was in 2018. A license enables us to undertake a variety of asbestos abatement projects. This means that our clients will have the peace of mind that their projects are handled properly and deadlines are met on time. Our head office in based in St Helens, Merseyside where the majority of our operations run from. In 2018, we opened our second office based in Denbigh, North Wales. This was because of an increased workload in the region, along with an asbestos removal contract with Denbighshire County Council. Our aim with the second office is to use our expertise and knowledge to become the trusted, go-to asbestos contractor in North Wales. If you need help with any of the above services or require any more information regarding asbestos in you premises then please do not hesitate to get in touch and one of our team will get back to you.